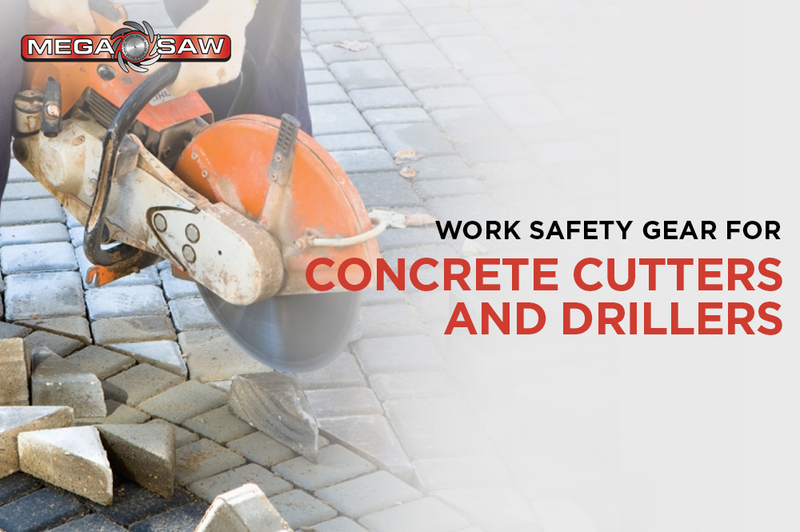 Drilling, grinding and concrete cutting pose a number of health and safety risks for workers. 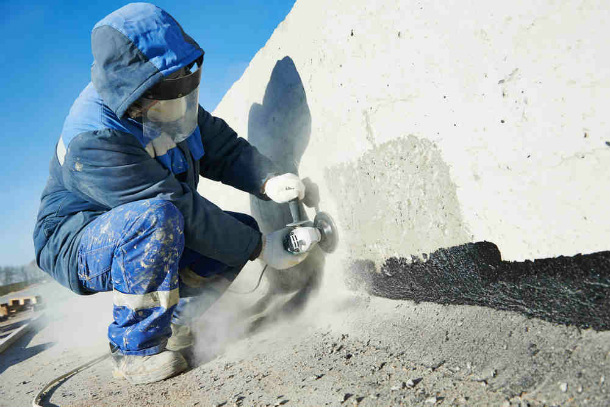 One of the risks is brought about by the clouds of dust produced during concrete cutting, core drilling and wire sawing. Unfortunately, it is easy for a construction worker to ignore the potential effects of that cloud of dust. That’s why it’s a relief that these risks are lessened when workers wear industry standard gear. It’s imperative that construction companies require their workers to be in full gear whenever they drill or grind concrete. Now let’s look at these work safety gear and how each one protects workers. While working on concrete, you need to protect your eyes and face from flying objects and particles. 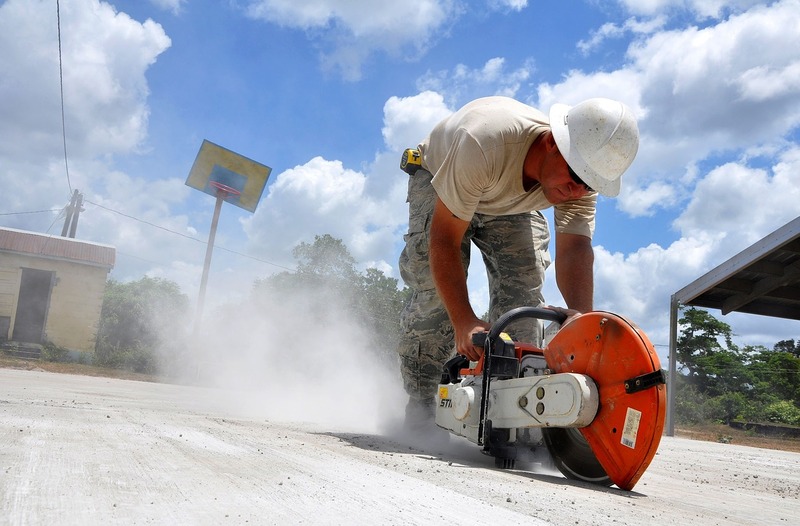 Dust is produced from concrete drilling and grinding. Safety spectacles. These generally look like regular glasses but have stronger lenses. The spectacles can normally include side shields for added protection. Eye shields. These are frameless with a single-piece moulded lens, normally worn over prescribed regular glasses. Safety goggles. These are made of flexible plastic frames and an elastic headband. Face shields. These are bulkier and heavier than the other types of eye protection gear. Face shields are designed to protect the face but they do not fully enclose workers’ eyes. They therefore offer no protection against mists, dusts or gases. Employers require employees to use protective footwear when working in areas that put the feet at risk to injury. For one, injuries can be inflicted by falling or rolling objects. 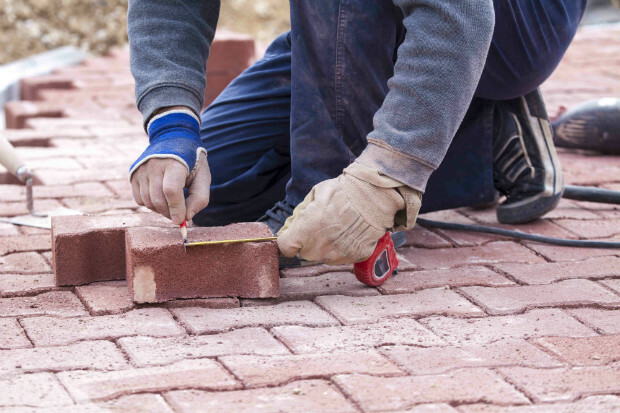 To keep feet safe, safety-toed boots or work shoes can be used. The only danger now is from sharp or protruding objects that can pierce the sole. For this, ensure that the shoes have sturdy soles. These double as protection against electric-shock or static-discharge. To ensure employees are adequately protected, you as the employer, should clearly communicate the guidelines on wearing proper safety footwear. In turn, employees should fully appreciate the need for safety footwear and ensure that their footwear conforms to their employers’ guidelines. Here are a few features of the correct safety footwear. Metatarsal guards. The foot protection gear should have steel toe-caps covering the section above your toes. This steel toe-cap will prevent the drilling from crushing your metatarsals, in case a heavy concrete drilling equipment falls on your toes. Even though steel is the most popular and time-tested material used in toe protection, safety toe caps are also available in aluminium alloy and composite materials. Any of these is likely to be equally strong. Some materials can also exceed the resilience, strength and elasticity of steel, thus can be used for toe protection. Steel mid-soles. It’s important that the footwear has sturdy soles. But it’s even safer if your foot protection gear has steel mid-soles particularly in environments where there are many sharp and protruding objects. Insulation. Note that you will not always work under the same environmental conditions. As such, the gear should be designed to withstand extreme temperature changes. Comfort. 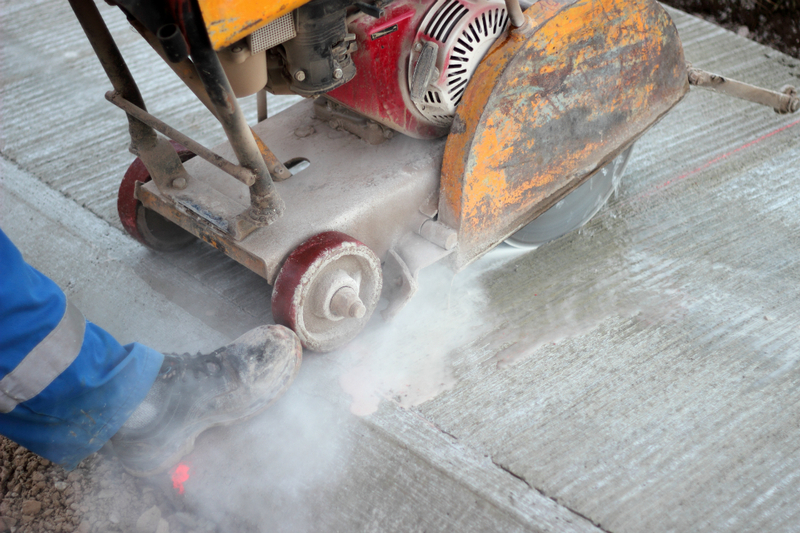 If you are working with concrete, you are likely to remain standing for a long period of time. Thus, it’s important that you wear comfortable footwear. Anti-static. Foot protection gear should be both anti-conductive and anti-static. These attributes are important in case you accidentally step on bare electrical cables. These also protects against the build-up of any static electricity. Hands are protected by gloves that fit snugly. Heavy-duty leather or rubber gloves should be worn by workers who would grind or drill concrete, because they would be using heavy equipment. In the same manner, welding gloves should be used for welding and insulated gloves for electrical work. For additional protection, workers could wear sleeves. These are particularly useful against electrical hazards. Gauntlets and gloves. These are typically made of leather, nitrile, plastic coated, latex and chain mail materials. Wrist cuffs and armlets are recommended when handling glass and in concrete drilling and grinding. Barrier cream. This is not always used in concrete work, but should be applied in instances where gloves cannot be used. Industrial Safety Helmets. Helmets are hard hats that protect the head against swinging objects and falling debris. Industrial scalp protectors. These are bump caps designed to protect the head against accidental bumps. Caps/hair nets. These protect against entanglement. Always wear hard hats in every concrete work environment where there’s potential for objects falling from above. As a safety measure, inspect your head protection gear routinely for cracks, dents or signs of deterioration. Loud noise may affect your eardrums. 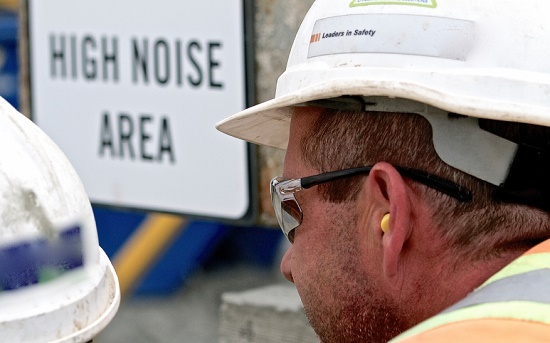 To prevent undue damage, always wear earplugs or earmuffs whenever the equipment is producing a lot of noise. Regularly clean or replace earplugs to maintain good hygiene. Working with concrete requires wearing these protective gear. These gear are designed to prevent or lessen the impact of workplace-related accidents. Also, bear in mind that you should always choose protective gear manufactured by reputable companies as they are more reliable and will definitely last longer compared with cheaper ones.